Thank you for visiting our website today. Please do get in touch if you require further information on our cast iron radiators. 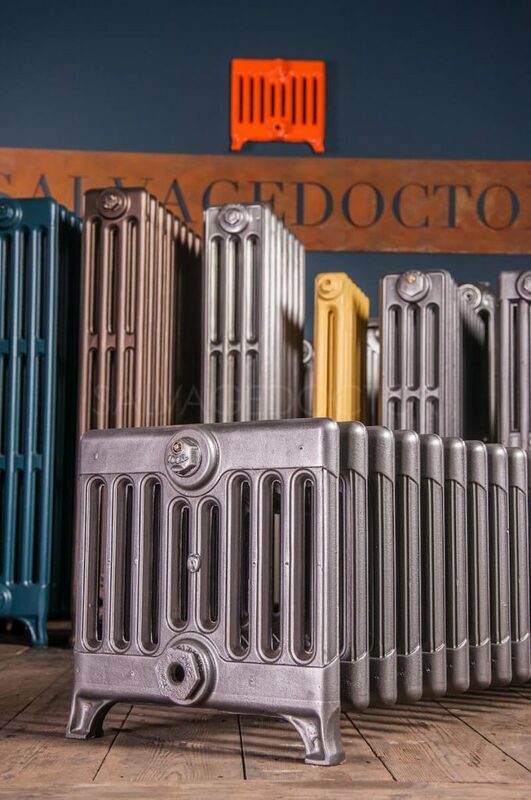 We have restored over fifteen thousand cast iron radiators to date and continue to do so with great pride. We endeavour to mirror the exceptional refinement found in the manufacture of original radiators, with our own high quality workmanship. I just wanted to let you know that I was thrilled with my cast iron radiators. Thank you and please give my thanks to Dave. Thanks for all your help getting this work done. Just a couple of lines to say thank you very much for our lovely radiators, they are now plumbed in and absolutely chucking the heat out! We’re really pleased with them, and wanted to thank you and Emily, who has been particularly helpful when I was deliberating for ages over which radiators to have! 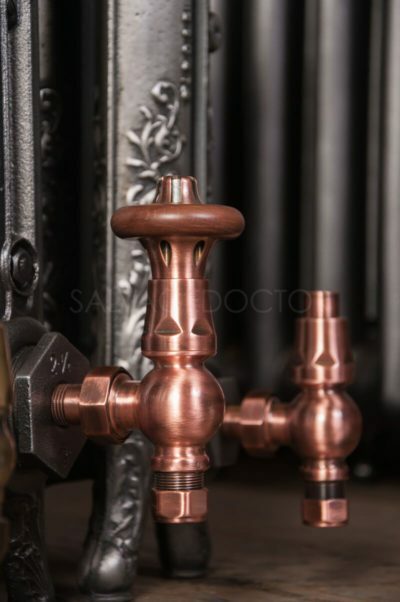 Cast iron radiators, school radiators, hospital radiators, column radiators, victorian radiators and traditional radiators, designer radiators whatever you want to call them, we have hundreds in stock and restoring them is our speciality. Can I use original cast iron radiators for my project? There are no factors prohibiting the use of an original radiator in a modern central heating system. It is likely that you will be using 15mm or 22mm diameter copper pipework instead of the old iron pipe. Our radiators are reconfigured to accept new valves and enable this accordingly. Why do some cast iron radiators hang on the wall? 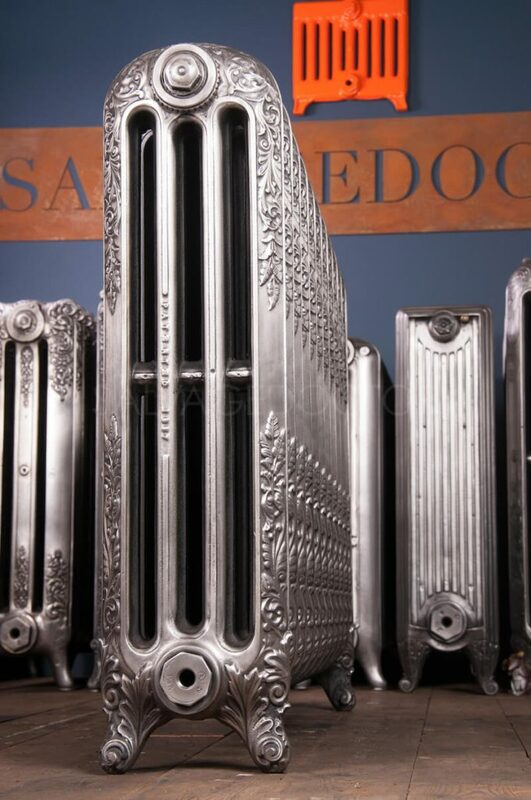 Most original cast iron radiator styles were available with or without legs. Many of our customers prefer their cast iron radiators to incorporate the original legs. Unlike the wall hung radiators, they free stand and the floor bears the weight. Many institutions including schools, hospitals and commercial properties installed radiators that had no legs and were hung off the wall. The reason for this was to aid hygiene and the efficient cleaning of the floors. The Neo Hospital and School cast iron radiator range was designed with this in mind with its simple, smooth and easy to clean profile. Can you supply cast iron radiators to fit between my existing pipework? We can build you a radiator that will come very close to your existing pipe centres which may negate the need to adjust your pipes under the floor for example. However, minor adjustment would almost certainly be required to ensure the pipes are the correct height, depth from the wall and the exact distance apart. This will will require draining the system and reworking the pipes, albeit, slightly. No adjustment will be required if we are replacing an original radiator and can exactly match the replacement. We would investigate the possibility of repairing your cast iron radiator if this is the case. How long will my cast iron radiators take? 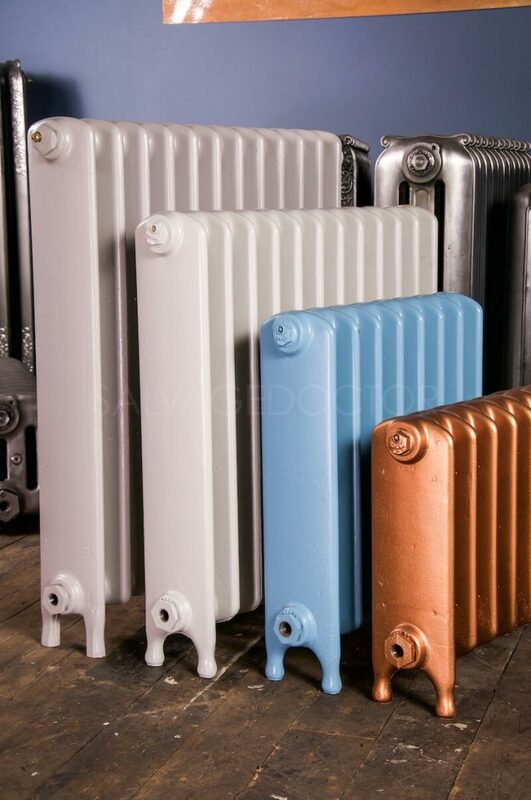 Most of our restored radiators are prepared to your bespoke requirements. Please call or email us for current turnaround times. A minimum of three weeks is normally required and this may be longer during busier periods. Does a cast iron radiator need to be the same size as my regular radiator that I want to replace? This depends on the style of radiator in question. However, as an example, the most popular cast iron radiator we sell is the 30″ high 4 column Neo Classic which is often replacing a 600mm high wall hung double convector radiator. It will come in at around half to two thirds the length of the convector it is replacing from experience. We can calculate the correct length for the room to be sure. What size radiator valves do I need? By far the most popular size valves we sell are 15mm (feed pipe diameter) – to suit 1/2″ (radiator thread/hole size) or 15mm-1/2″.The remainder being bigger at 22mm-3/4″. With the higher pressures and flow rates of modern heating systems, the smaller valve tends to be the favoured choice for most heating engineers even in the case of larger radiators. The 22mm-3/4″ gives a slightly larger overall appearance as does the 22mm pipe running to it. This bigger look is very occasionally favoured by our customer. Practical restrictons, ie, much larger radiators or reduced flow rates may also dictate the need for this larger choice of valve, to ensure sufficent flow of hot water through the radiator. British Imperial pipe threads have not been improved upon and as a result are still the pipe thread of choice for industry. Modern copper pipe however, comes in metric sizes hence the somewhat confusing references to both imperial and metric sizes on pipework fittings such as valves. Do you have cast iron radiators ready to go? We do have some radiators on show that are ready for despatch though the nature of our business is to build, configure and finish the radiator to your bespoke requirements which requires a bit of lead time. Please contact us for our current turnaround times. Yes we do deliver. We can arrange a courier or a pallet type delivery depending upon location. Most of our cast iron radiators are delivered to site though collection is also welcomed. Cast iron radiators wanted. We buy cast iron radiators every day. Please get in touch below if you have some for sale and we will get back to you as soon as we can. After searching through a few different radiator company’s we found salvage doctor. From the the go the were amazing with us, giving us great advice and explaining all of the requirements for our new cast iron radiators. We were so stunned when the radiators arrived. They were absolutely beautiful and worth every penny and more. If you’re considering going with salvage doctors I’d say: do it. The pricing is simple and it was an absolute pleasure dealing with Emily every step of the way.